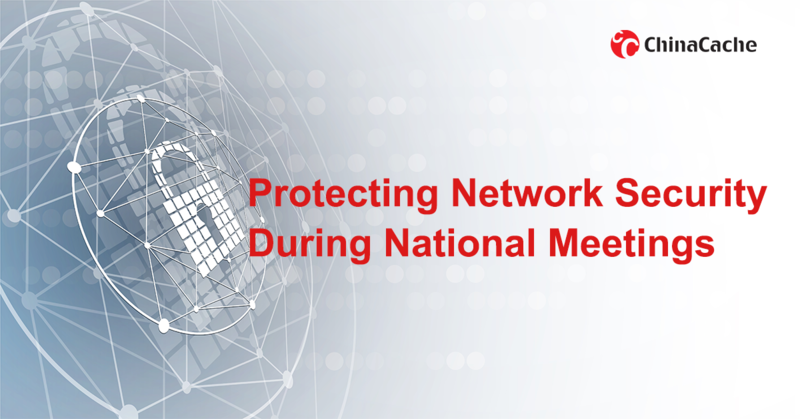 On March 15, ChinaCache successfully wrapped up the work as a security provider for the Two Sessions, the most high profile national meetings in China held every March. ChinaCache is one of the companies selected to protect the network security for China Daily, the state-owned media outlet that reported and live streamed the meetings on its website. Prior to the beginning of the Two Sessions, ChinaCache assembled a team of security experts to evaluate the potential threats. After confirming China Daily’s demand on bandwidth usage, disaster recovery system and onsite support, ChinaCache created a customized plan cover potential attack scenarios. During the Two Sessions, ChinaCache’s “attack analysis” team worked 24/7, using a log system to analyze and handle abnormal activities. At the same time, a technical team stationed onsite at China Daily to better communicate with the client and handle client requests. In the live streaming sessions, China Daily’s website experienced a huge traffic surge – the peak traffic was 44 times more than the usual traffic. Due to the sufficient bandwidth reserve, ChinaCache provided solid and stable services that guaranteed the live streaming quality for the Two Sessions. In addition to the professional deployment of services, ChinaCache also fully demonstrated its technical capabilities with its network security solutions, which protects websites from DDoS attacks, CC attacks, Web application attacks, Web crawlers Attacks, malicious access and more. With security modules deeply integrated into ChinaCache CDN network, the high performance, high availability and high security of the websites are guaranteed. In addition, ChinaCache provided customized reports with analysis and visualizations of the geographic locations, time, IPs, types, and target URLs related to the attack. For more information on ChinaCache’s security offerings, please contact us.